Dr. Ed. Sim and student Michelle Chahyadi, Senior Marketing Major from Bandung, Indonesia, offered peer-to-peer engagement strategies for active engagement in online, hybrid, and face-to-face courses during the April Canvas Cowboy Innovator roundtable discussion on April 24, 2018. 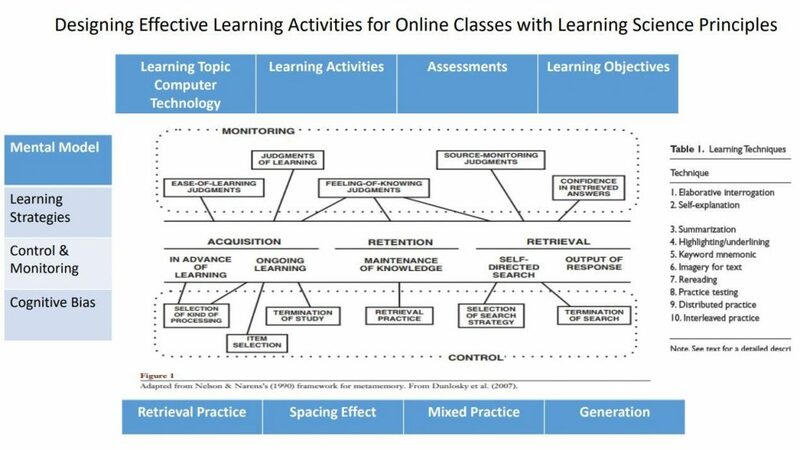 In this post, the HSU Department of Online Education’s features Dr. Sim and Michelle Chahyadi’s reflection on research-based practices supporting effective learning activities for online classes. Dr. Sim’s explains, in the video below, that effective engagement is reinforced by learning science, such as Nelson and Narens’ framework Nelson_And_Narens_1990 (Figure 1). 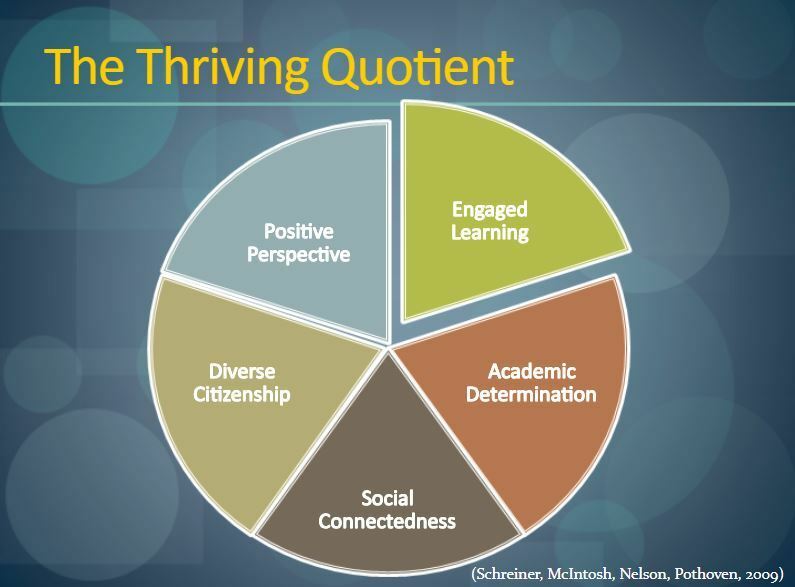 Student engagement is evidenced through active learning and is one of the Schreiner, et al, 2009, tenets of Academic Thriving (Figure 2) Academic_Thriving_SchreinerMcIntoshNelsonPothoven2009. In this video clip, Dr. Sim explains that are one remedy for poor mental models passive concept retrieval, a deterrent to academic thriving. In this video, HSU student Michelle Chahyadi explains the retrieval and spacing effect. One way that Dr .Sim achieves student engagement through retrieval and spacing effect is through weekly page updates and personalized email.